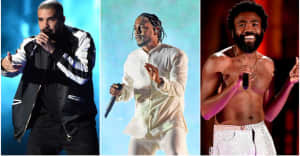 Kendrick Lamar performed two songs at tonight's Brit Awards, where he also took home the award for Best International Male Solo Artist. He delivered "Fell" atop a large clear box that, during "New Freezer," turned out to contain Rich the Kid and a fancy new car. During the latter song, Rich the Kid smashed the car up. 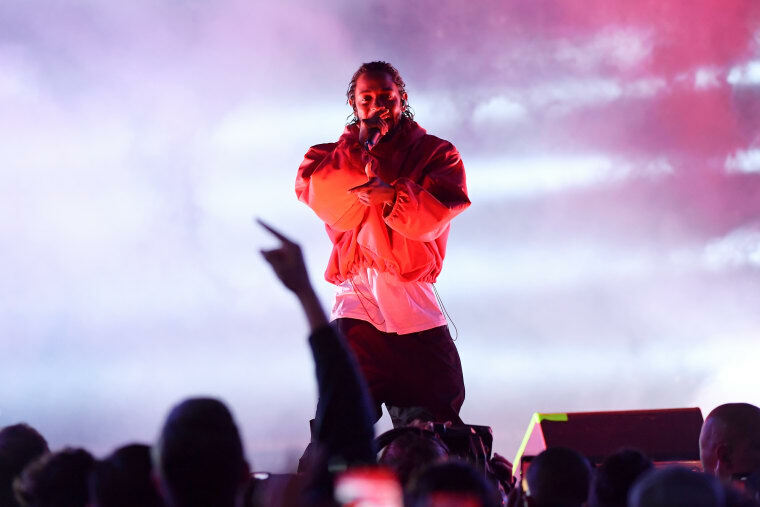 For those confused, a sign flashed across the background just before the duo's hit, reading "This is a another satire by Kendrick Lamar." But some people were still confused.